The Poodle comes in a size to fit all needs. They include: Toy, Miniature and Standard Poodle. The “Teacup” version exists but not yet recognized by the AKC. The breed used to be used as a bird dog and loves the water. They have a special coat that dries out quickly. In most countries though, including the United States, poodles are usually found as family pets. The breed is very popular in this country. 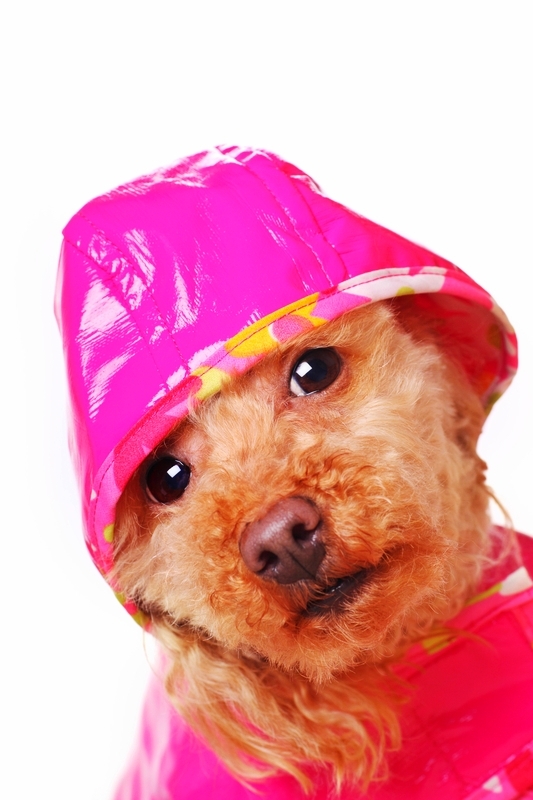 The toy and miniature Poodle can do well in any city or suburban setting because of their small size. They are fine family pets but probably would not be a good choice for families with young toddlers around. The two small versions of this breed are quite fragile and can be hurt when dropped or if accidentally stepped on by a youngster. The toy and miniature Poodles tend to be excitable and nervous but the standard Poodle tends to take life one day at a time. It is a bit quieter and not as flighty as the smaller Poodles. Its gait, particularly when clipped with the lion cut, gives the standard a regal appearance as it struts down the street. Most of the toy and miniature Poodles come in different shades ranging from white to a dark brown. Color clearly has a role in the genetic personality of a breed as discussed with the Labrador Retriever. I have found the apricot colored Poodle to be one of the most docile and sweet of the Poodle breeds. Get one of them and find out for yourself! This breed does not shed. They are often kept by people with allergies to dog dander. It is the protein in the hair ordander that drives people with allergies crazy. Because of this “hypo-allergenic” trait, breeders have created the “Labradoodle” (Labrador x Poodle), “Schnoodle” (Schnauzer x Poodle), “Cockypoo” (Cocker Spaniel x Poodle), “Woodle” (Wheaten Terrier x Poodle) and the “Goldendoodle” (Golden Retriever x Poodle). These genetic combinations produce a dog with a bit of Poodle, with the personality of the other dog it’s bred to. Sort of like that 1990’s dance song: “A little bit of this, a little bit of that” (Macarena). Poodles are lap dogs but they are very active, ultra intelligent dogs. The health condition varies depending upon the breed size. The Standard breed is overall a very healthy dog. This breed produces a lot of ear hair which has to be plucked like a chicken to improve air circulation in the ear canal to prevent ear infections. The Toy and Miniature Poodle are plagued by many conditions. They are susceptible to subluxated knee caps, left sided heart failure, Diabetes Mellitus, bladder stones and periodontal and dental issues. All white colored poodles will have to deal with “Poodle Epiphora”; a rust colored stain below the eyes due to protein in the animals tears. You may want to try Angels’ Eyes® to help with this. The breed is a happy dog regardless of its size. Grooming will be a major expense but repaid with its loyalty and friendship for a long time! With that shrill bark, they make excellent guard dogs! Learn more about the breed at Animal Planet’s® Dog Breed Selector.